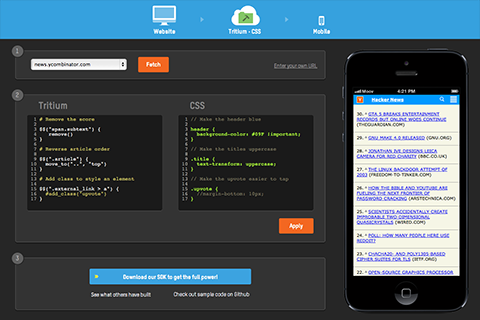 The Developer Center is your source for Moovweb docs, downloads, updates, and more. the power to quickly transform websites into multi-device experiences. Simply sign up for a free account and get started. Quick Start is the fastest way to get up and running on Moovweb. 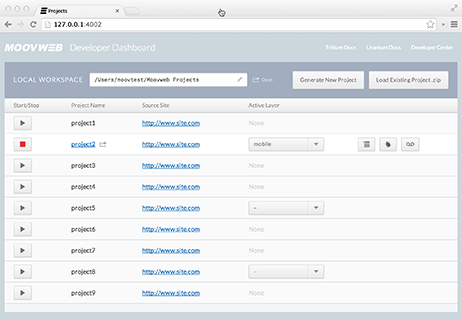 Download the SDK and create a project, then add some Tritium and preview your work locally. Moovweb’s Developer reference library covers everything from the asset folder to the z-index. 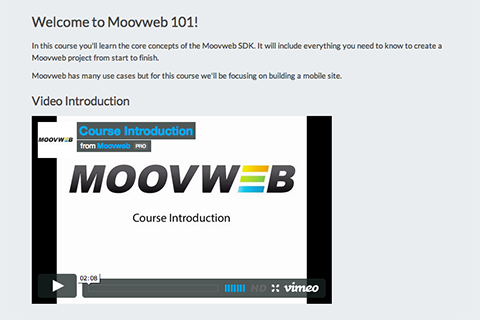 Topics: Developing for the Moovweb Cloud, Cloud Management, and Recommended Tools.